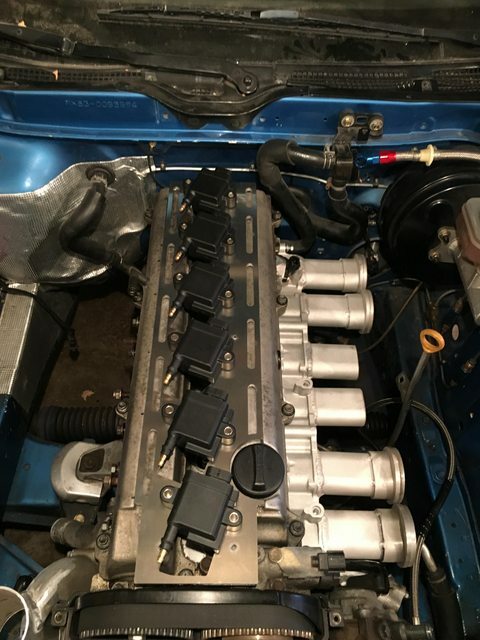 Random/Hobby Fabrication Picture Thread... - Page 7 - Miata Turbo Forum - Boost cars, acquire cats. Is it, though? My car just made 301 at 15 psi on an archaic 2871R. This is a 6758 we're talking about here. And I'm on a regular old VICS intake mani with skunk2 throttle body. and we also don't know what kinda timing he's running. if tuner isn't familiar w/ BP he'll run like 4* timing up top or something. after we got the car to function properly, the alternator crapped.. We had to stop the tuning. Bp4w, 1mm oversize valves, super tech etc..
Definitely. The tuner himself knew it could make more. We had to stop since the alternator overloaded.. :(. I'll be hoping to make 300+ the next session. Last edited by AdoboMiata; 09-29-2015 at 07:09 PM. The transmission and differential is now a time bomb... Lol. Good numbers, pull the engine up to 8,500 if your engine build is good for it. Intake was designed as a race design with a higher rpm powerband than a stock unit. It will keep pulling to whatever you set the rev limiter to on a BP. it will cap out aroun 8,500rpm but wont stop making power there by any means. 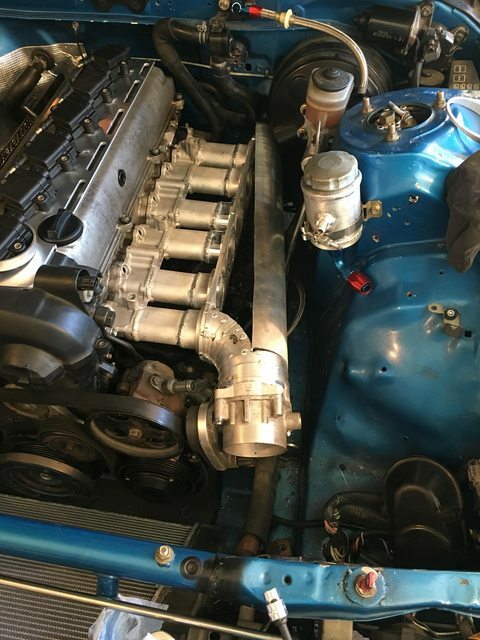 Working on a neat setup right now with a 1.6L and a variable vane turbo. pics to come. So much data. 5egt, 4o2 and 1map in just the manifold. Now to see how the uploader kills pixels. 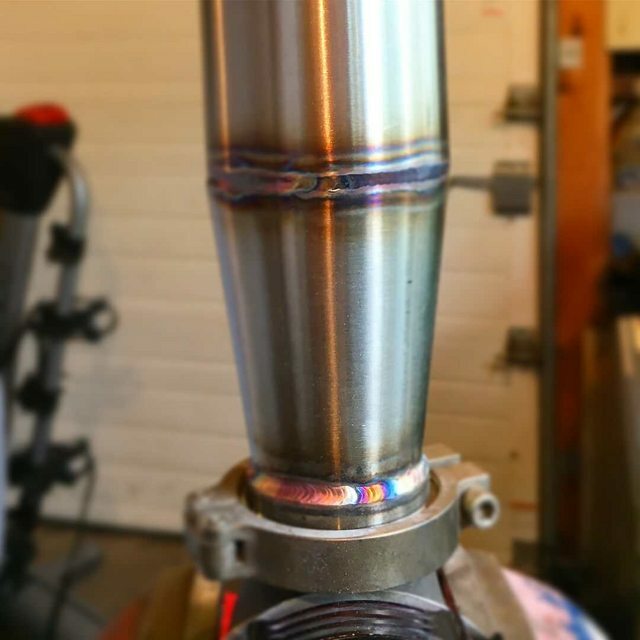 Someone asked me if Im still welding because they miss photos. Yep. still welding. I do some of my own stuff these days on my 1jz Cressida as well as Miata stuff. 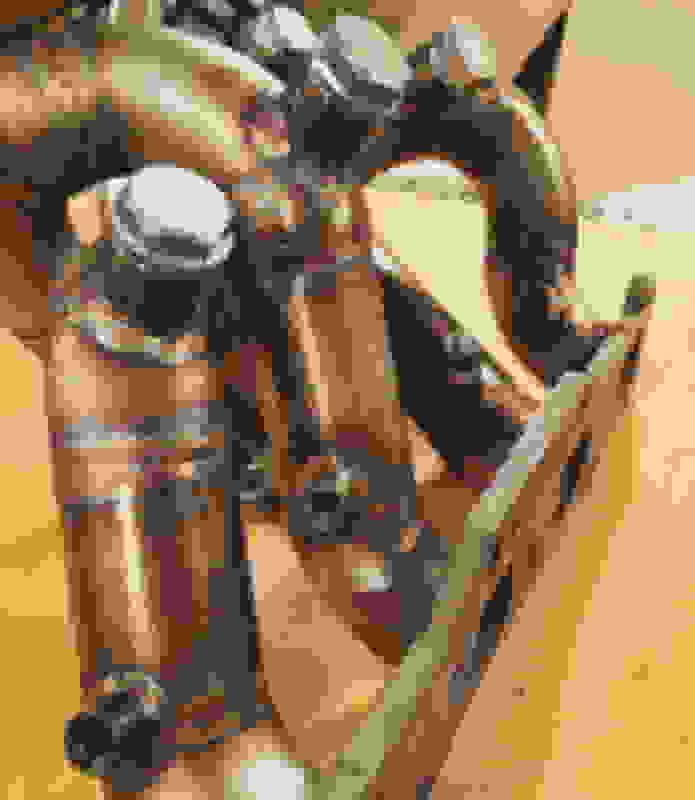 Im working on a pair of T3 external gate Miata manifolds right now for Miata fab photos coming up. Intake and exhaust manifolds and IGN1a smart coil bracket. 1 of 2 manifolds on my bench right now. Added wastegate port this morning but it was too hot to remove purge block and photograph. you mean two small manifolds with one flange? This is just my photo thread. I don't want to advertise here but more share my work. I enjoy what I do. A twin scroll manifold is no more difficult for any fabricator though - A little planning goes a long way to get a good, efficient design. 1.8 Manifold with the EWG port. 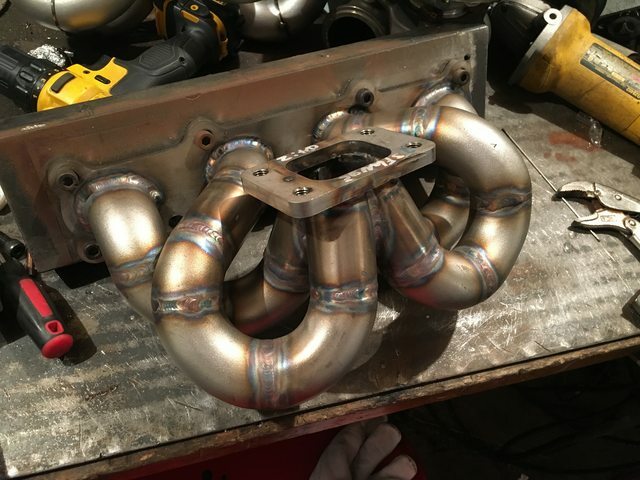 My thread title has been changed and I cant modify it.... would a mod please change it to "Shlammed's Fabrication Thread"
Just finished up this manifold. Pretty happy with it. 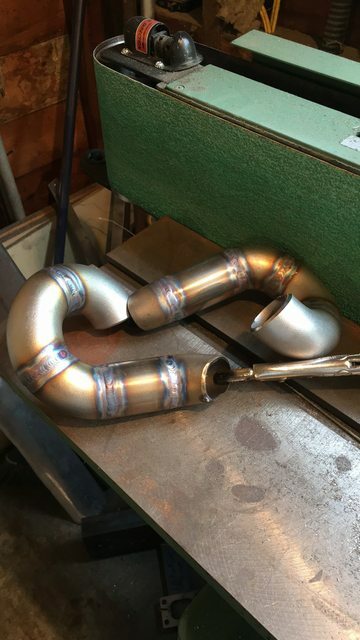 I changed up the angle of the collector to try some new stuff out and it makes for a bit of a painful weld to hold the last runner to the collector but aside from that it makes for a great overall manifold. Nice manifold as always M.
I have a PTE BB 5252 S cover on a 2.5. That's an interesting choice for a 1.6.
yeah its a big wheel for a 1.6 agreed. 59mm compressor is bigger than the 7163 im putting on my 1jz. I sent you a message on facebook Tim. I've spent a whole bunch of time getting these coil brackets dialed in. Dimensionally, aesthetically and most importantly functionally. These are for 1jz VVTi engines and the ultra powerful IGN1a coils. Now that I have a great form for each coil in CAD I am going to work out a plate for NB1 and 1.6L with the IGN1a coils. Dimensionally I had several proof of concept parts made to dial in the fit with the modified OEM front timing cover. Functionally I went through a few iterations of the design to allow full removal of the bracket without requiring me to remove a coil to access the hardware and to provide extra area for the plug wires. Aesthetically I changed the size and placement of the "vent" on either side of the plate which is derived from the OE cam cover but changed for aesthetics and once the function of the bracket was dialed in I modified the angle of the coils to ensure that they are all the same angle of rotation and placement along the centerline of the engine. For example, small variances in angles and offsets were one concept that I tried to allow use of all fasteners with the coils in place. The final design shares a fastener to act as both the bracket and coil fastener. To remove the bracket you remove one of the coils fasteners on one of the coils. Last edited by 18psi; 09-27-2018 at 12:40 PM.